We are back from a couple of busy weeks off in real-world land and got straight back into the Knightwise.com grind by breaking out the camera and interview gear. 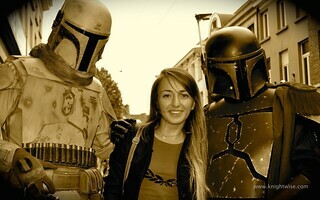 Reason for that was our coverage of the annual “Fanday”, organised by Teekay421, the Belgian Star Wars fanclub. When we were done doing the interviews ( to be published later this week ), we took some pictures. Have a peek and get a nice preview of things to come later on this week. Enjoy.